The meeting was called to order at 8:59 a.m. by Paul Salerni, Chair. Motion No. 1: to approve the minutes as presented. Carol Waldvogel presented a report from the Nominations Committee. 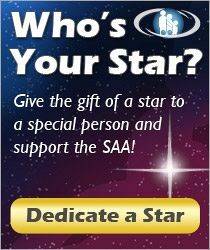 Volunteerism—All past and present board members are strongly encouraged to serve as SAA volunteers. In view of the CEO’s responsibility for operational activities and results, all those acting as operational volunteers are subject to the direct supervision of the CEO or responsible staff person. Charge to the Nominations Committee to consider placing an area on the ballot where members could write names of Board prospects. Diane gave the Development Committee report. The Board reached its financial goal in the Annual Fund. In addition there were a large number of first time donors. The time line for the completion of the fund drive was discussed and a decision was made to close this CD premium drive after the May 2006 Conference. Ideas for the next Annual Fund were discussed including a need to improve the donor list and suggestions for “friend-raising” activities. Pam shared information about the success of the Katrina fund. Dee gave the report from the Audit Committee. Discussing these financial matters led the Board into a discussion about investment policy. Pam is going to speak to the investment person in the auditor’s new office to get additional information on investment policies. Carrie gave the report from the ad hoc Linkage Steering Committee. They are planning the 2006 Focus Groups with a goal of connecting input from the 2005 Focus groups to the Suzuki Heritage/Suzuki Legacy project and the Parent Education project, to demonstrate that the voice of the membership is valued. Opportunities at the Conference for linkage were discussed, in particular opportunities during the networking dinners. Paul charges the members of the Board to fill out the Teacher Profile Survey on the SAA Website. The afternoon was spent in planning the Board Video. The discussion centered around how best to accomplish the purpose, which is to inform members of what the Board does and to build excitement and pride in the SAA membership. The Board decided to focus on the SAA as a learning community, looking at the 2005 feed back with what is currently happening, comparing it to the vision for the future and evaluating how the current policies reflect the vision. The video will include Board discussion and individual interviews. Motion No. 3: to go into executive session for the purpose of discussing executive compensation. Motion No. 4: to reconvene in open session. The morning began with a discussion of the themes in the feed back from focus groups at Asilomar and at the 2005 Institutes. Paul suggested a strategy of discussing the concept of the learning community from all sides of the Suzuki triangle. The Board turned its attention to following up on the responsibilities for the Creating Learning Community awards. The videographer arrived and after his explanation of video procedures we began a serious discussion of the SAA as a learning community that included looking to see what is in current policies. The importance of the interconnection of all the components of the Suzuki triangle was central to the discussion. The SAA is in charge of being a facilitator in the activities and opportunities in the learning community. The video session ended with interviews of some board members. The Board focus returned to responsibilities at the May Conference. Motion No. 5: to appoint Pam to be the SAA representative to the ISA. The remainder of the afternoon was spent working on policy statements dealing with the concept of the learning community and concluded with listing the topics to complete on Sunday morning. Reconvene Sunday at 8:39 a.m.
Pam presented information about the progress toward an agreement between John Paulson of SmartMusic and the SAA. Pam updated the Board members on the current status of the possibility of purchasing a building for the SAA offices. More complete information on the building we visited in January made it clear that this particular building is not a good choice. Although the SAA would be building equity there is no tax advantage for SAA when buying property. In addition, it is important to note that purchasing a building would likely require a capital campaign. The discussion of candidates for nominations or appointments is confidential. The Nominating Committee will be chaired by the Chair-elect or another Board member designated by the Chair. Other members will include the current Board Chair and one other member to be appointed annually, in January, by the Chair and approved by a majority of the Board. Ends Focus of Scholarships, Grants and Contracts—Schedule for fall BOD meeting. CEO remuneration will be decided after a review of monitoring reports received in the last year during the April BOD meeting. Directors will hold office until the election or appointment of their respective successors. Affirmation of Receipt and Reading of Monitoring reports. Unanimous. Following some discussion of the monitoring reports the Board noted that that Ends reports are very well written and very informative. There is a Suzuki based collaborative learning community. After discussion about diverse needs it was determined that further work on policy 1.2 will continue at a later time. Motion No. 12: to adjourn.